New data has revealed how user-generated content can boost trust and drive conversions for ecommerce stores. Before buying something online, you read the description and features of the product first. But you don’t immediately buy it because you’re still unsure if the claims are true. So you look for reviews from other people who have bought the product. And this might convince you to finally purchase that item. The same thing applies for your customers. They would want to see how your other customers feel about your product before buying it for themselves. 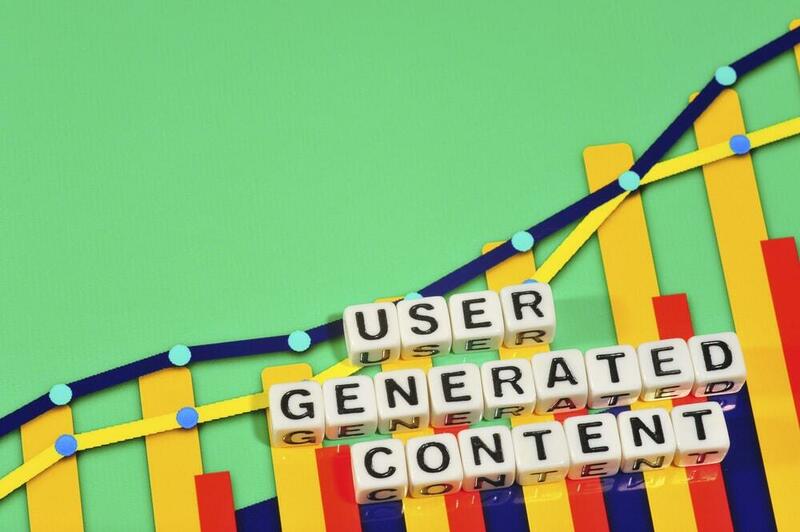 But just how much do reviews or other user-generated content impact your performance? Yotpo collected data from 163,000 million orders made on 200,000 stores online. Their research revealed just how much user-generated content can impact the performances of ecommerce stores across all industries. The first question the Yotpo data answered is how many people really look at user-generated content. On an average, around 32.20% of people look at user-generated content like reviews and ratings, photos, or customer Q&A across all sectors. But there are some variations based on the industry in which you specialize in. 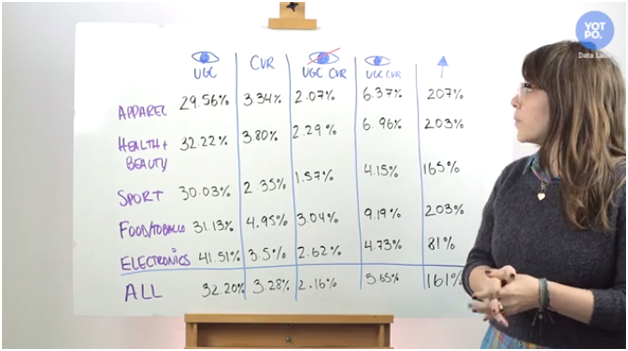 As you can see, the UGC consumption rate is essentially similar across all industries except for electronics. The data shows that customers in the electronics industry are a lot keener on viewing or clicking on user-generated content before making their purchases. 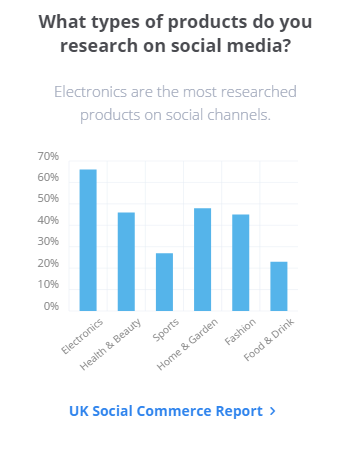 Even among UK consumers, electronics are the most researched types of products on social channels. The next and most important question is how user-generated content really impacts sales on ecommerce stores. To gain a better understanding of this, we need to first look at what’s the overall conversion rate for different sectors. As you can see, the food and tobacco industry has the highest average conversion rate while sport seems to have a much lower conversion rate than other industries. 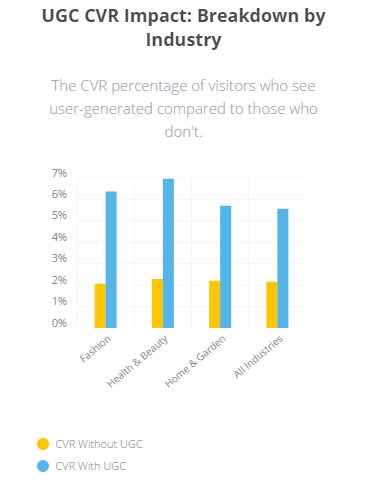 It’s clear from these numbers that customers who don’t view or click on content generated by other customers tend to convert much lesser. And you can also see that the conversion rate for the sports industry is strikingly lower than the rest. But what difference does user-generated content make to these numbers? 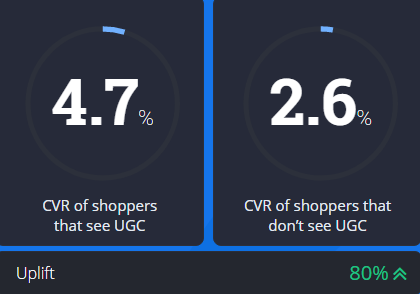 According to the research conducted by Yotpo, average conversion rate among shoppers who are exposed to UGC is at 5.65%. That’s a significantly higher number than the overall conversion rate highlighted earlier. There’s an astronomical difference between conversion rates of customers exposed to user-generated content and those who weren’t. The conversion rate is especially high in the food and tobacco industry. And the sports industry also has a conversion rate that’s close to those of other sectors. What’s the Exact Difference Made by UGC? 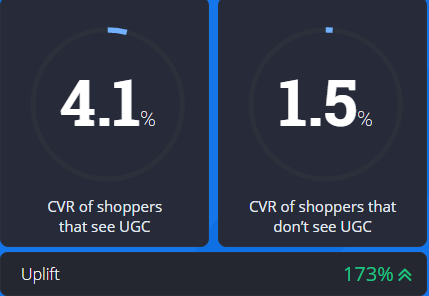 You’ve seen how there’s a striking difference between the conversion rates of customers who viewed UGC and those who didn’t. But what exactly is the difference? To what extent does user-generated content uplift the conversion rate for these ecommerce stores? On an average, the conversion rate is 161% higher among customers exposed to UGC. The improvement in conversion rate for each sector is massive. The apparel industry seems to experience the biggest difference, while both food and tobacco and health and beauty have the same level of improvement. The sports industry also experiences significant improvement. Although the difference is lowest for the electronics industry, there’s still a substantial improvement that can’t be ignored. It’s important to remember that conversion rate isn’t the only element impacted by user-generated content. UGC can improve your performance in many other aspects. 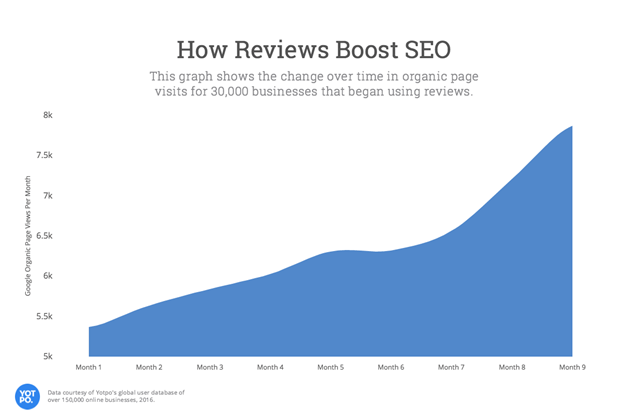 For instance, another Yotpo study found that reviews could also boost search ranking. For their research, they ran a test on 30,000 online businesses of all sizes across all industries. They observed changes in search engine traffic for the websites during a 9-month period. The only change these businesses made was adding reviews to their website. Their organic page views on Google gradually increased over time. These sites started off with around 5.500 page views in the first month. But by the ninth month, their page views jumped to around 8,000, suggesting that the reviews made some improvements to their SEO traffic. This is just one example of all the ways in which including user-generated content to your site can improve your performance. An increased traffic could result in higher engagements and potentially drive more sales too. What Does this Mean for Ecommerce Stores? 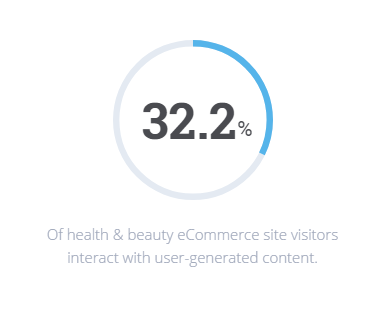 The main take-away from this Yotpo study is that user-generated content is important. It can result in higher conversion rates, which is a crucial performance metric for every ecommerce store. It can also impact many other aspects of your performance to affect overall growth for your business. You can implement UGC in a number of ways. Maybe you can add user-submitted photos to your product pages along with the reviews and ratings you’re already displaying. Or maybe you can include user reviews and ratings in your social media ads? You could even display video testimonials from your customers. The options are virtually endless. Now that you understand the value of user-generated content for ecommerce stores, how do you plan to use it for your business? Let us know in the comments below.